It all begins with a faded photograph taken in Chetumal, Mexico in 1938, portraying Emma and Héctor, the parents of Héctor Aguilar Camín, as newlyweds. The author is moved to investigate his family origins, driven by a search for both a familial and personal identity. 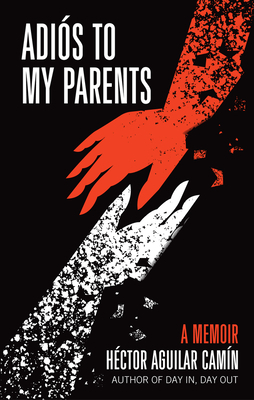 Adiós to My Parents is a painfully personal story about the need for a narrative that tells you where your grandparents come from, how your parents met, why they married or separated, why they were who they were and why you are who you are. In impeccable, moving prose, Héctor Aguilar Camín delves into his past as far as he can go, reflecting on how fate has lead him back to his parents, whom he hasn’t seen for decades, on two different floors of a hospital where they both are ailing. Héctor Aguilar Camín is a Mexican writer, journalist, and historian. The original edition of his memoir was shortlisted for the Vargas Llosa Prize. In 2017 he received a lifetime achievement award from Mexico’s Instituto de Bellas Artes. Chandler Thompson has been an interpreter for the U.S. State Department and the federal courts. He has covered Mexico for The Christian Science Monitor and as a staff reporter for The El Paso Times.